The HTC U, codenamed Ocean, is the hottest item in the rumor mill now that the Galaxy S8 has been announced. The last we heard about the U, it was supposed to launch in April with a Snapdragon 835, 5.5" WQHD display, 12MP back cam and 16MP front cam, and Android 7.1. The headline feature though is the sensors around the frame that can detect your squeezes and swipes across the edges. 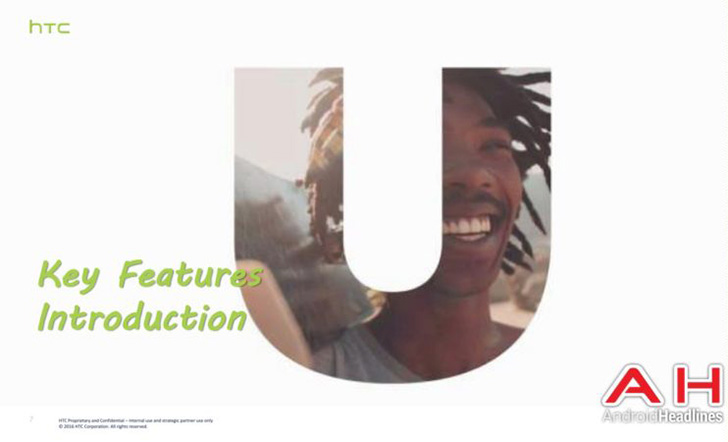 Now Android Headlines seems to have come across the HTC U's presentation doc and thanks to it, we learn a bit more about the phone. 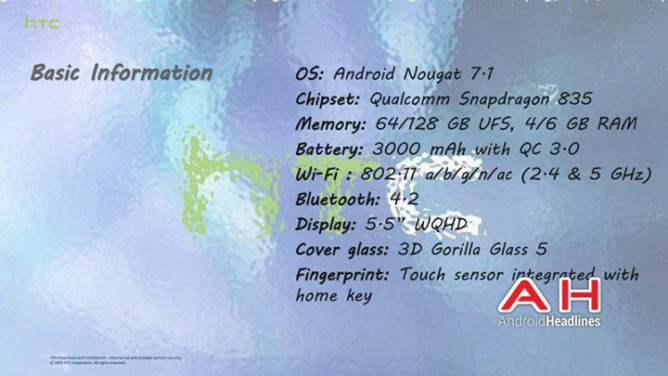 Specs-wise, we have a confirmation about the processor, screen, and Android version, though there's no mention of either cameras' resolution. We also learn that there will be a 64GB/4GB version and another 128GB/6GB version and that the battery is rated at the meh level of 3000mAh. The more interesting parts of the leak concern the image and sound capture as well as the edge sensors. First, the HTC U should have Smart Video Zoom and real-time HDR scene detection to show you exactly how the photo will look before you capture it. 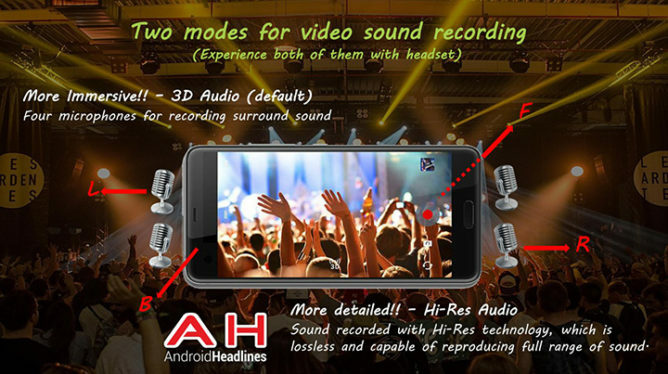 It also comes with 4 microphones to record surround 3D audio or Hi-Res audio, depending on whether you prefer an immersive or a detailed sound, respectively. And in true HTC fashion, there's some form of "BoomSound" here as well, but don't get your hopes up. There's no 3.5mm plug or front-facing speakers. 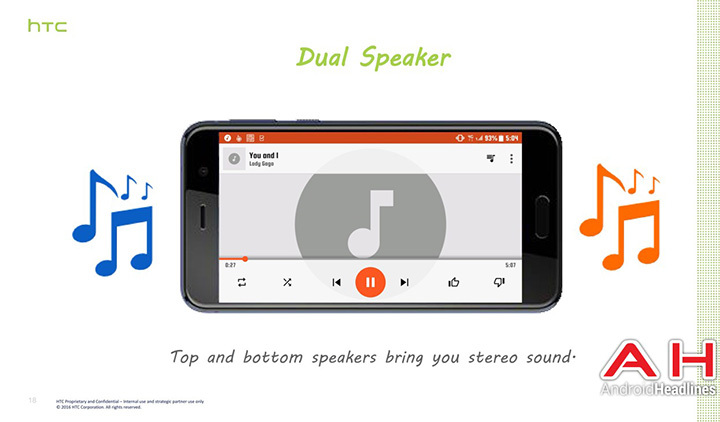 Instead, we get HTC USonic with the USB-C headset, which can personalize sound to the shape of your ear canal and adapt it according to the noise level in your environment, as well as top and bottom speakers. The Edge sensors will be placed toward the lower half of the phone and will respond to a preset level of grip strength when the screen is off. 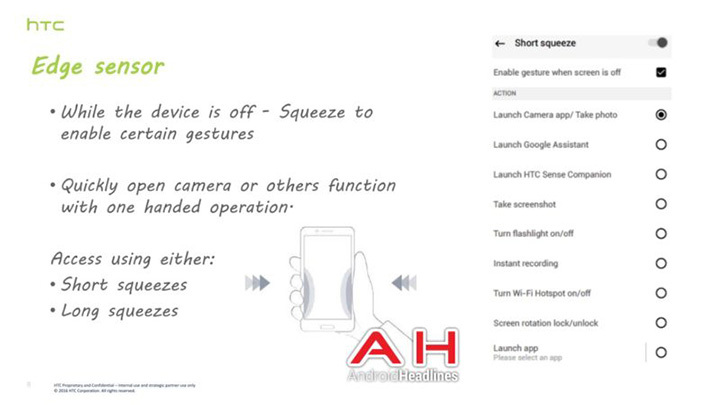 Both short and long squeezes can be mapped to different functions, including launching the camera and taking a photo or triggering Google Assistant. The HTC U should also have Sense Link which is a small attempt at bonding your computer and phone together, and HTC Sense Companion that debuted on the HTC U Ultra (and that didn't really impress us). Those are the most interesting parts you can glean from the presentation, but you can check it out fully at the source link below.